Goodyear Tire & Auto Repair has been serving the Santa Cruz, CA community since 1995, for Goodyear tires and auto repair service needs! Whether your vehicle requires major repairs or is due for maintenance checks, Goodyear Tire & Auto Repair is qualified to handle it all. All our technicians are highly experienced and trained and know exactly how to address all auto repairs and car services. From domestic cars, trucks and SUVs, we stick to the manufacturer’s guidelines. 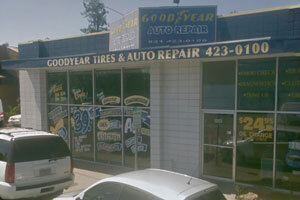 Not only do we offer expert auto repair services, but we are also a Goodyear tire dealer. So make sure to stop by Goodyear Tire & Auto Repair for ALL your tire & auto repair needs!